Sometime during your toddler’s growing years, they will move into a new stage of development. This new stage will require a different environment to meet their emotional and developmental needs. 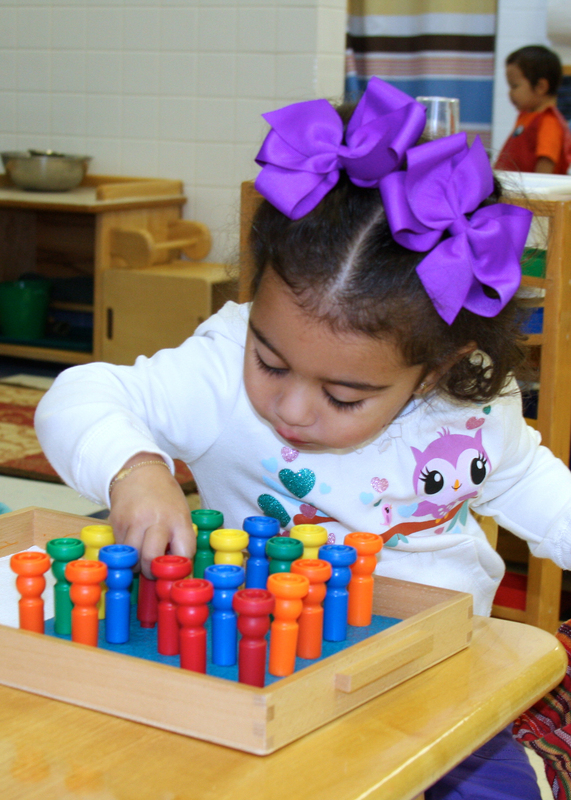 This new environment is the Early Childhood (Primary) level. The moving up process will occur between the ages of 2.6 to 3.2. We highly recommend parents observe in a primary class in order to better understand and become familiar with their child’s next stage of development. When the time comes for your toddler to transition, the toddler teacher will alert you to the new and exciting changes that are taking place in your child. The toddler teacher and primary teacher will keep you informed as to how your child is doing during the transitioning process. It usually takes about 2 weeks to complete the transition. Upon completion, the parents and teachers will meet to have a farewell/welcoming meeting. At this meeting the child’s emerging needs and requirements for their new early childhood level will be discussed. Parents will be informed about uniforms, changes in tuition and the classroom schedule. This will be an exciting time for everyone.